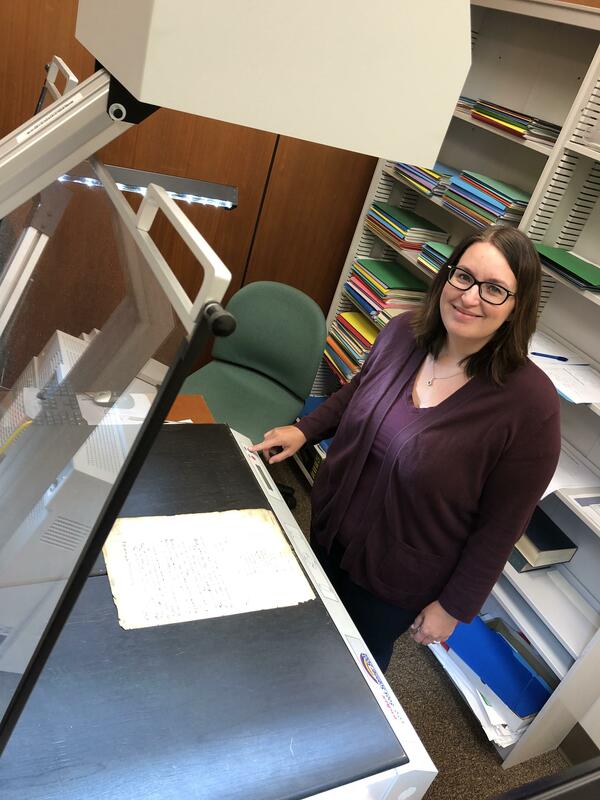 As summer continues, extra hands help in the collaborative digitization of a complex scrapbook from the German Society of Pennsylvania, one of the library “Digital Partner” institutions. The John F. Ballier Scrapbook, 1831-1889, contains an American Civil War era signature by Abraham Lincoln. Ballier, an immigrant from Wuertemberg, Germany, and a resident of Philadelphia, eventually rose to the rank of brevet brigadier-general of volunteers. 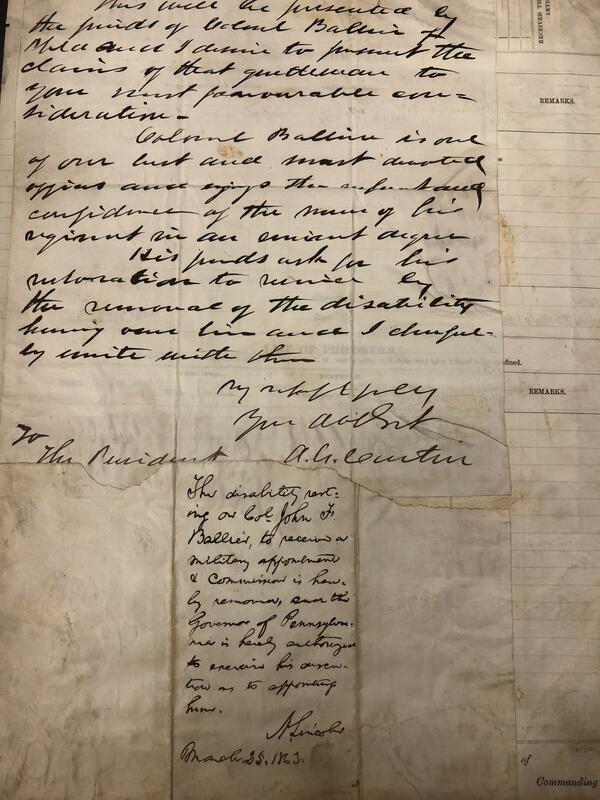 His scrapbook contains significant primary source information on his life, the Philadelphia German-American community, German-American military units during the Civil War, local Philadelphia history, and much more! It will be available in the coming months in the German Society of Pennsylvania Collection of the Digital Library.